And... we're back. Earlier this month, we began talking about some of the questions you should ask when renting portable restrooms. You might think portapotties are a dime a dozen, but there is actually a very large discrepancy between elegantly understated, run of the mill, and just plain awful. Last time, we explored the question: "Do I Need a Portable Restroom Attendant at My Event?" (The short answer is no, as long as you're dealing with a respected, professional company). This week, we're talking about the second important question to ask a portable restroom company: What is your reputation in the industry? Reputation is a big deal. This is not your own carefully-crafted marketing speak, it's what others have to say about you. Sure, every once in a while someone with an axe to grind might blurt out a negative remark regarding one of their collegues – especially if they feel threatened by the competition. But by and large, a professionals' rep among their peers is a pretty good indicator of what you'll get if you hire them. Our industry is much broader than a circle of potty pros. 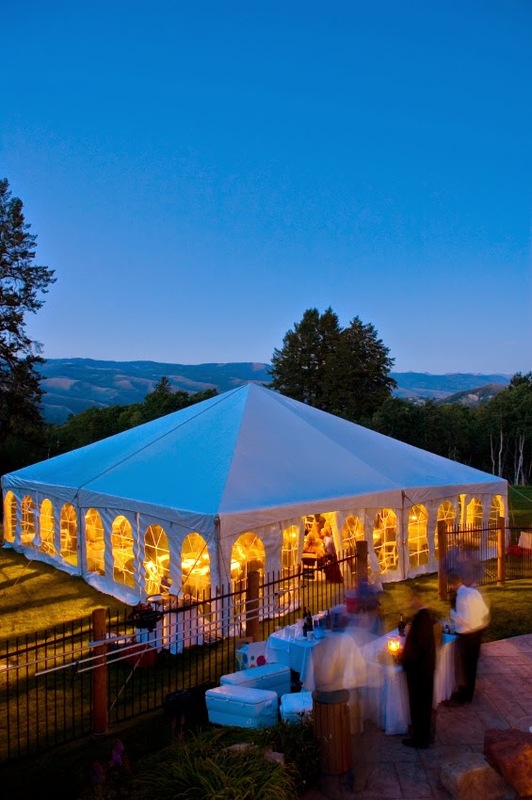 We fit within the event industry as a whole – on par with caterers, event planners, tent rental companies, DJs, florists, photographers and more. So we really take stock in what these other professionals have to say about us. We all work together to put on great events, so it only makes sense that each one of us would only refer and speak highly of the companies we know we can count on. It doesn't matter what kind of event it is, pros want to work with other pros. They want everything to run smoothly. ElizaJ comes to the table with 40+ years combined experience in the event community, and our background covers way more than portapotty pickup and delivery. We've planned fundraisers, corporate outings, private functions and weddings. We were also the leading local entertainment agency for many years booking bands, DJs and magic shows. In fact, for one of our high profile gigs back in the late 90s, we booked the DJ for Rory Kennedy and Mark Bailey's rehearsal dinner at the Kennedy Compound in Hyannis Port, and a magician for the children the day after the wedding. The DJ was actually still there when John Jr. and the Bessettes were reported missing, and we recieved a call then next morning from the Kennedy compound informing us of the tragedy and the cancellation of the magician. It is still a very sad memory, forever locked in my mind. But the point here is that a good reputation is made and earned. You should not assume it's a given – it takes time, experience and proven professionalism. We look at portable restroom rentals as one piece of a much bigger puzzle, so it's imperative that we work with every other vendor to do a great job and above all, keep the customer happy. It's a winning combination. p.s. Stay tuned in the coming weeks to get the skinny on event industry experience, and why it matters when it comes to hiring a portable restroom professional.